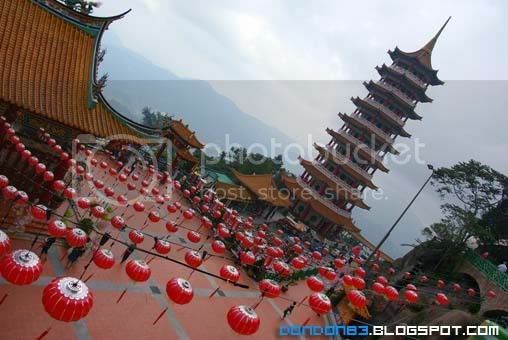 it's Chap Goh Meh today, and we didn't go for Mandarin Orange Throwing event this year, instead, we go for Genting Highland. 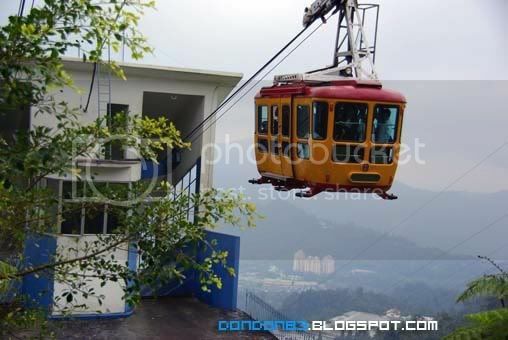 erm.. just for a walk. 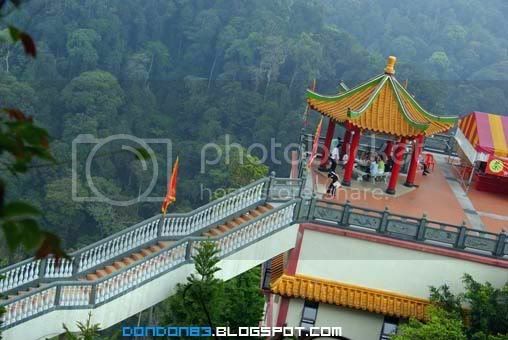 Just before we reach genting. 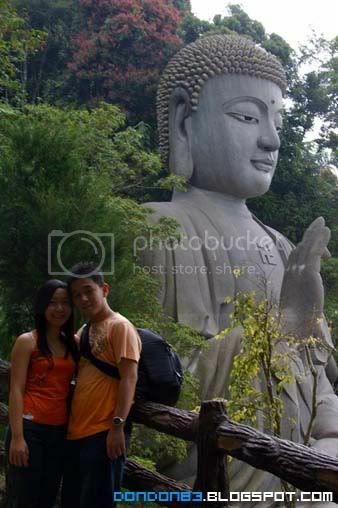 we stop by at the hotel, very temple feel hotel.used to be a templed now add on with hotel. 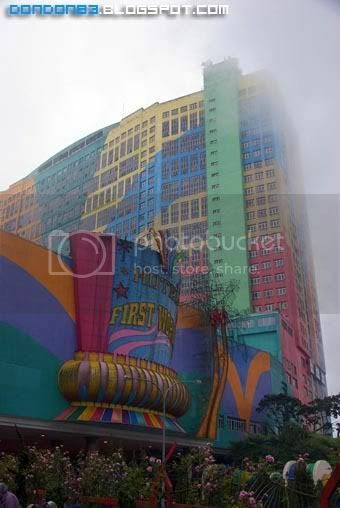 And very unique designed. a very peaceful hotel i can say.. quiet place. 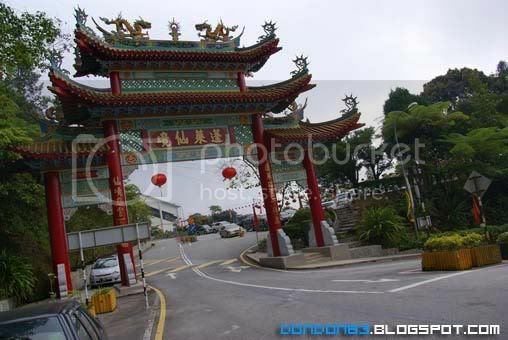 and chinese new year decoration will remain there, or should i say.. chap goh meh decoration? there is some event going on here too. 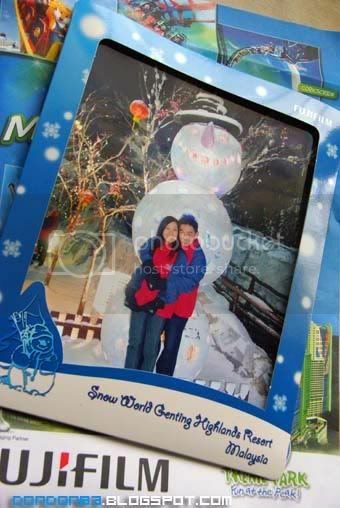 and we come again in SNOW-WORLD of Genting. 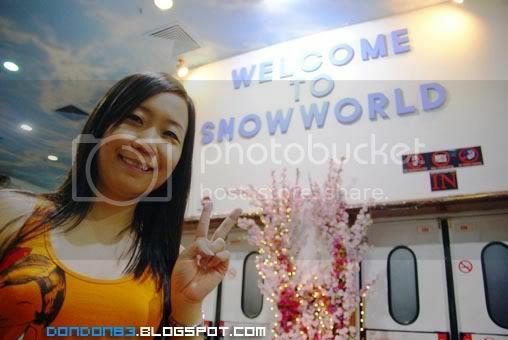 hehehehe, i wanna feel the real snow someday!. someday!!! Hungry.. is time for food intake. let get some something grilled. 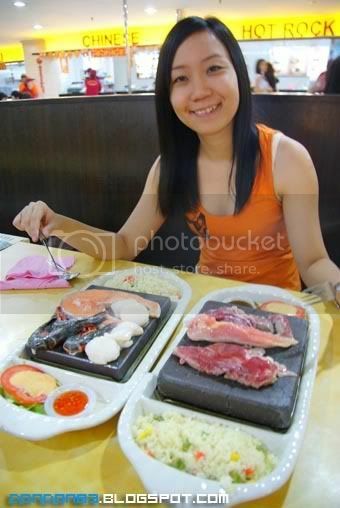 Stone GRILL, one of the special GRILL i like to have in genting. 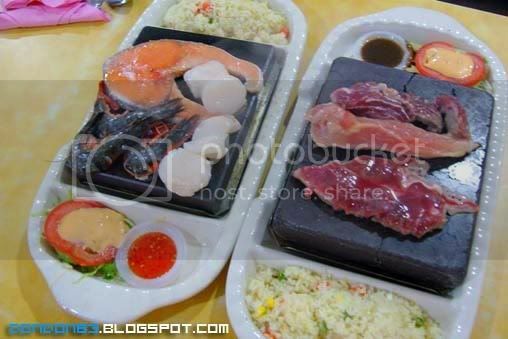 forgotten when is mt last time i had a stone grill in genting. what i can say is... huge different from the first time i try it.. Since we can't bring in our own camera in there.. so we forced to buy their photos.anyway,doesn't matters as long our memory is framed.